Three CDs for the price of one! The above comment is typical of critical response to the work of pianist Kirsten Johnson. Among her more unusual areas of specialty is the sadly neglected piano music of pioneering American composers of the late Romantic era (most notably Amy Beach), who practiced their art at a time in our nation’s musical evolution when European styles and models still prevailed, and a distinctively American musical idiom (a-la Gershwin, Copland) had yet to emerge. 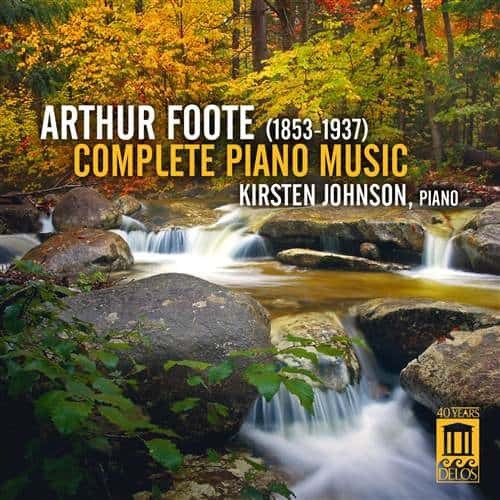 With this remarkable three-CD collection of Arthur Foote’s complete piano music (much of it recorded here for the first time), Ms. Johnson has filled a long-standing gap in the global discography of this very worthwhile American composer’s music. Foote was a prominent member of the so-called “Boston Six,” a highly influential group that included fellow composers Beach, George Chadwick, Edward MacDowell, John Knowles Paine and Horatio Parker. Much of their music has yet to gain the exposure it deserves, as its strong European roots has led the musical establishment to unfairly dismiss it as lacking originality as well as true American sound and spirit. 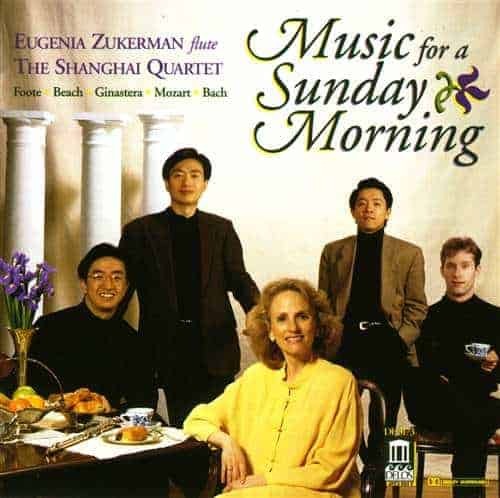 Kirsten’s sympathetic and often virtuosic interpretations of Foote’s more than two dozen piano suites, cycles and individual pieces reveal music of considerable creative imagination, craftsmanship and touching beauty. This release should be of particular interest not only to pianists in search of fresh concert repertoire, but to teachers and students on the prowl for effective technical studies that are both practical and musically interesting. Unfairly neglected music of creative imagination, careful craftsmanship, and touching beauty that will appeal to seasoned performers and students alike. An important new collection that fills a gap in American musical history; many pieces are recorded here for the first time. Sensitive and technically brilliant interpretations captured in Delos’ hallmark audiophile sound.